Good to watch the smaller things & study scenes. We'll start with the riding crop. The name is Sherlock Holmes. We can't giggle at the crime scene. 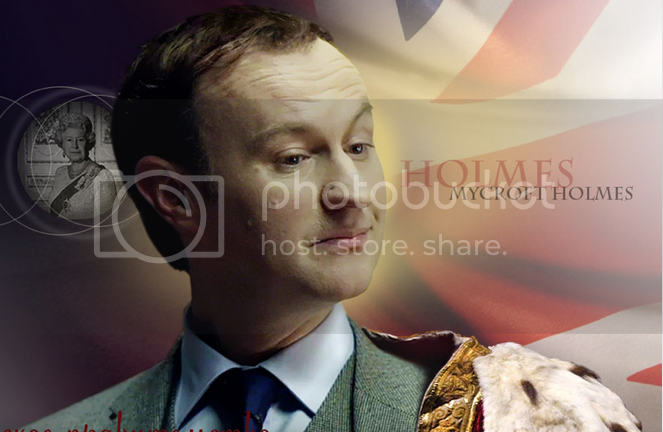 Mycroft’s popularity doesn’t surprise me at all. He is, after all, incredibly beautiful, clever and well-dressed. And beautiful. Did I mention that? "I know that you believe you understand what you think I said, but I’m not sure you realize that what you heard is not what I meant."